This is a recently renovated apartment which can be found near the home of FC Barcelona, Camp Nou. The location is ideal for those looking to stay just outside the very city centre but with quick and easy access to all parts of the city via public transport. There is a metro station just two blocks from the apartment and the Barcelona-Sants train station is only a 5-7 minute walk away. The apartment has 2 bedrooms, one with a double bed and one with a single bed, making it ideal for couples or small families. The kitchen comes fully equipped with a cooker and oven, as well as a coffee maker and toaster. There is also a washing machine and dishwasher for your convenience. 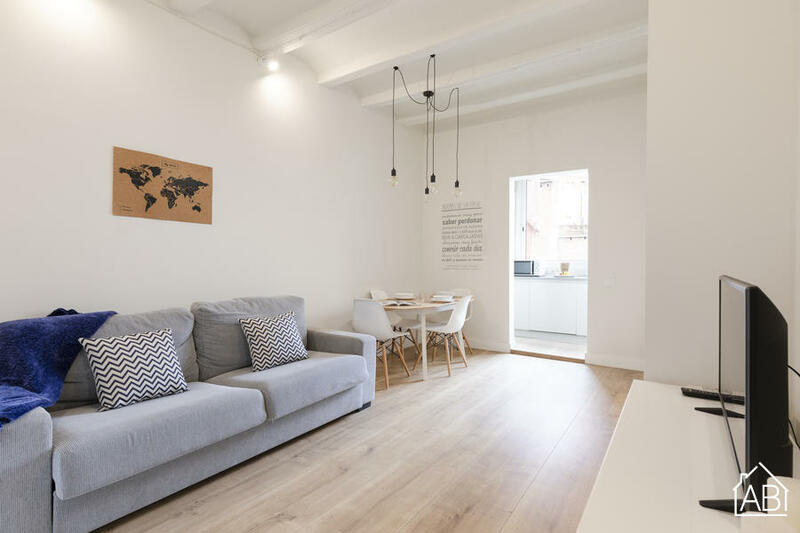 Complete with a TV, Internet connection, heaters and air-conditioning, this apartment makes for a comfortable temporary home in Barcelona. Les Corts is a quiet district situated in the northeast of Barcelona. The area is mainly residential, although there are numerous office buildings and prestigious education centres to be found here, too. On Avinguda Diagonal, one of the main commercial veins of Barcelona, you will find plenty of bars, restaurants and places to shop, including the complexes, L´Illa Diagonal and El Corte Inglés. One of the biggest attractions of Les Corts is the Camp Nou, home to FC Barcelona. This massive stadium is a must-see when in Barcelona, whether you decide to head to an exciting match during the football season or take a tour of the Museu del Barça, the most visited museum in the city. If you´re looking to stay away from the bustling city centre, but remain just a short metro ride from all the sights of Barcelona, then an apartment in Les Corts is ideal for you.